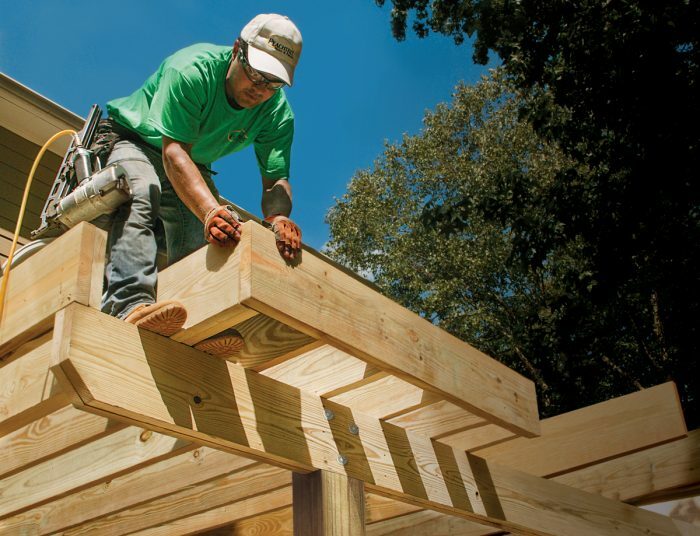 If you want your deck to last—and, more importantly, be a safe place to spend time with your family and friends—you need to start with a solid foundation and a sturdy frame. 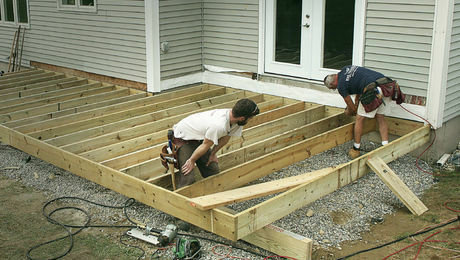 Fortunately, there are clear guidelines and time-tested techniques for installing the foundation, posts, beams, ledgers, and joists when framing a deck. 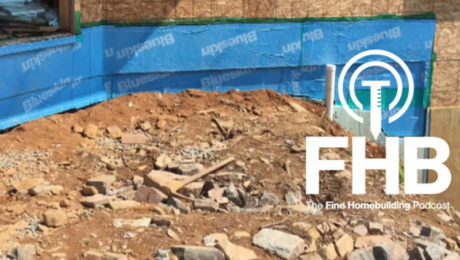 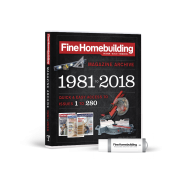 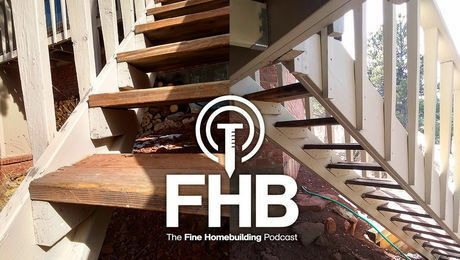 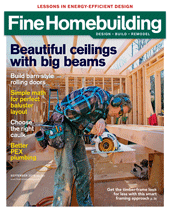 Fine Homebuilding has worked with numerous deck-building pros over the years to create concise, detailed explanations of everything you need to consider. 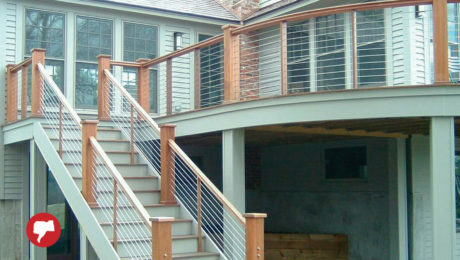 Here we’ve collected 11 of our best resources to help you get your dream deck off to a good start. 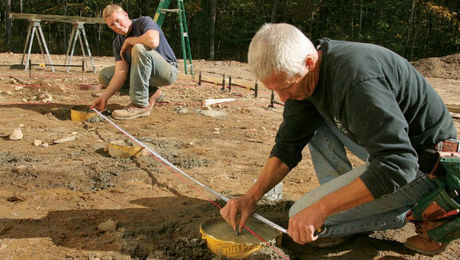 Learn how to size, layout, dig, form, and pour concrete to build a simple but sturdy deck foundation. 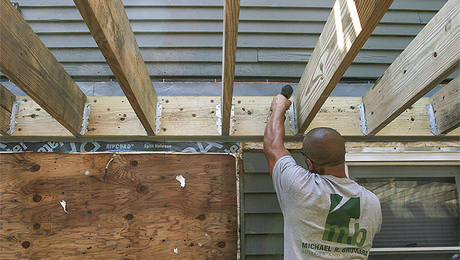 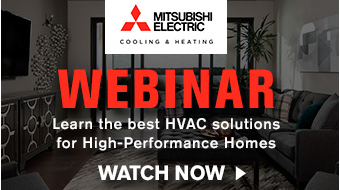 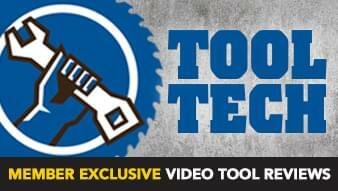 Learn how to safely install ledgers, beams, joists, guardrail posts, and stairs, in this 5-part deck-building video series. 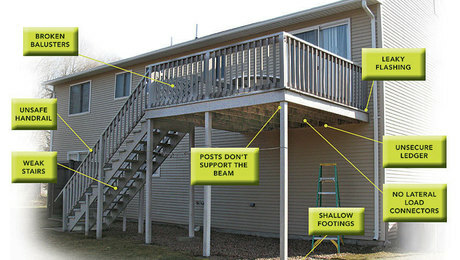 The local building official often has the last word, so it’s always good to check how he or she addresses snow and live loads. 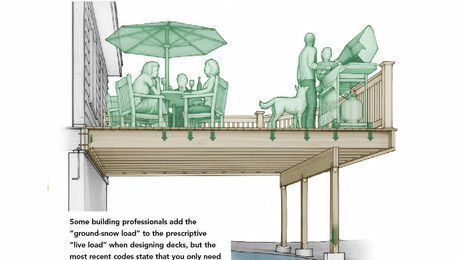 Span tables don’t cover your deck load requirements? 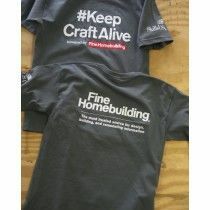 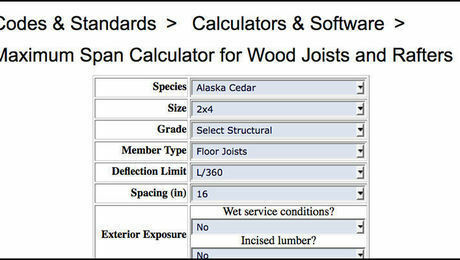 The American Wood Council has two handy online calculators that can handle a range of specifics. 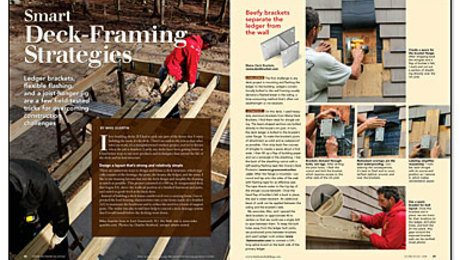 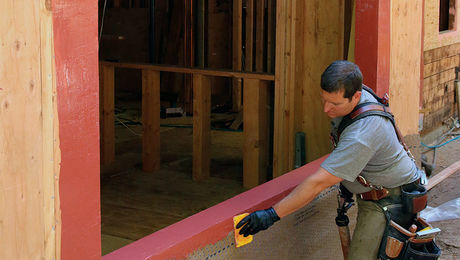 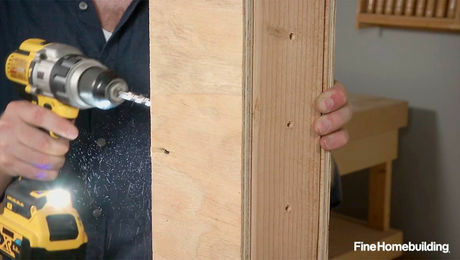 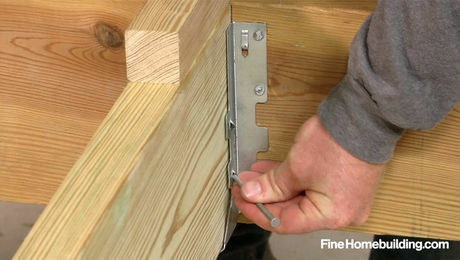 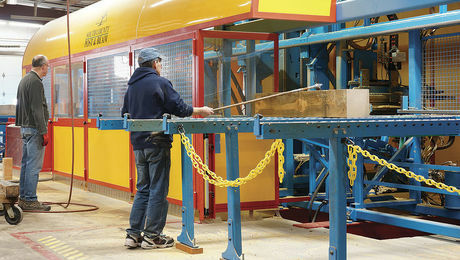 Ledger brackets, flexible flashing, and a joist-hanger jig are a few field-tested tricks for overcoming construction challenges. 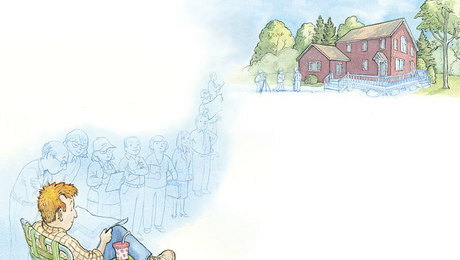 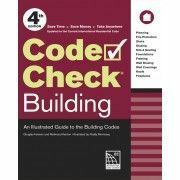 A building inspector explains the bureaucracy that gets you from plans to permits. 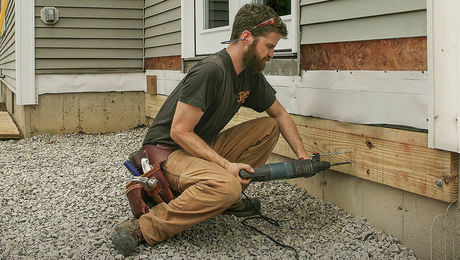 Design/Build: Getting porch details right.